The Chicago Transit Authority has discussed plans that would consider closing three stops on the Red Line --Lawrence, Jarvis and Thorndale -- as well as two stops on the Purple Line in Evanston. In the Uptown community, which includes the Lawrence stop, some residents said they are upset about the idea of removing stops, even though the project is being pitched as a consolidation rather than an elimination. Saed Ghazi, 52, lives a few blocks from the Lawrence stop and uses it daily. If the plan goes through—according to CTA representatives—traffic affected by the potential closed stops will instead be rerouted to other nearby locations. With the Lawrence stop, the nearest alternative stops are Argyle, two blocks north, and Wilson, two blocks south. 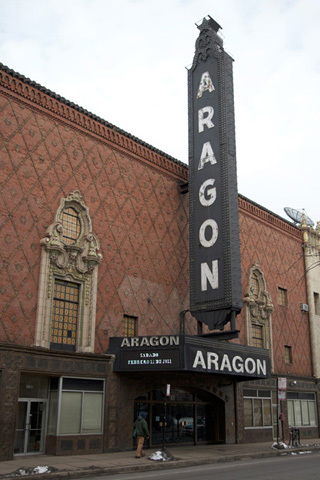 With two of Chicago’s most popular concert and show venues—the Aragon and the Riviera—only a few hundred feet from the Lawrence stop, increased traffic and even more crowded street parking are also on residents’ minds. Statistically and geographically, however, the data supports the CTAs stance. 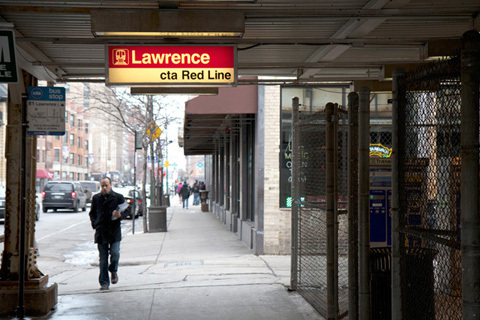 According to the CTAs end-of-year rider report for 2010, even though the Red Line saw a 4.3 percent overall increase of traffic throughout the year, the Lawrence stop showed only a 2.8 percent increase at 1.1 million riders while the Wilson stop posted a 7.9 percent increase with just more than 1.9 million riders. Other Uptown residents said they are already thinking of other stops they could use if the Lawrence stop closes. Should the CTA Close the Thorndale, Jarvis and Lawrence Stops? Jodie Tillman, 26, a photography student at the Columbia College Chicago Loop campus, uses the Lawrence stop several times a week to commute to and from school. “Do you know how bad [the Wilson stop] is at night? Someone just got shot there," Tillman said. "No way I'm using it." Despite the plans, the CTA is still accepting written feedback from users on the Red and Purple Modernization Project through Feb. 18.